FaniumMD: Time to sell Will Fuller? When dynasty owners hear the name, “Will Fuller,” they probably get one of two images in their head – Fuller catching a deep bomb from Deshaun Watson for a touchdown, or Fuller getting helped off the field due to injury. This pretty much sums it up for one of the league’s best deep threats. He’s either hauling in a long score, helping fantasy owners win their week, or he’s on the sideline injured and out of the game. When healthy, the connection between Watson and Fuller is strong, making him a high upside starting receiver in your fantasy lineup, but can Fuller be trusted in dynasty leagues? And, what should we expect from Fuller in 2019 coming off the torn ACL? It was Week 8, and the Texans were playing the Dolphins on Thursday Night Football. Full ran a go route along the sideline, was targeted by Deshaun Watson on a deep pass, but he was unable to haul it in. Cameras showed the replay that fantasy owners and Texans fans alike did not want to see – Fuller’s right knee buckling as he contact the ground after leaping in the air. The diagnosis was all but confirmed based off his mechanism of injury alone, but an MRI one day later confirmed a torn ACL for the former Notre Dame product. His season was over. Now 5 months removed from surgery to reconstruct the torn ligament in his knee, Fuller is reportedly on track to be ready for training camp. Should dynasty owners be buying Fuller as he is set to return for his fourth season in the NFL, or is it best to stay away from him given his injury history? Will Fuller’s injury history is well documented at this point in his NFL career. 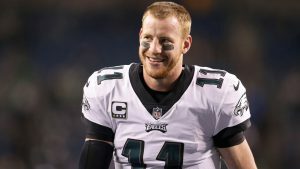 In his three seasons in the league, he has yet to play in all 16 regular season games, playing in a total of just 31 regular season games out of a possible 48. His most healthy season came during his rookie campaign in 2016 when he appeared in 14 games, missing 2 games – one due to a strained hamstring and one due to an undisclosed knee sprain. In 2017, Fuller’s year got off to a rough start. He fractured his collarbone in training camp and missed all of the Preseason in addition to the first 3 games of the regular season. Then, in November of 2017, he fractured his ribs, forcing him to miss 3 games. Finally, in Week 17, Fuller injured his left knee, which required “minor” surgery in the offseason. The exact details of the procedure were not disclosed, but I’m guessing this surgery was an arthroscopy, likely to address meniscus damage or to remove debris in the knee joint. Often times, these procedures are referred to as “clean up” procedures. 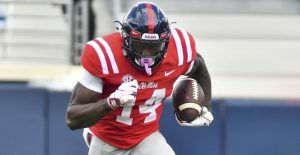 In 2018, Fuller’s season started with a hamstring injury that occurred late in training camp. This injury caused him to miss Week 1. Upon returning in Week 2, Fuller got off to a strong start, hauling in 503 yards in 7 games (Weeks 2-8). However, his season was cut short due to the torn ACL in his right knee in Week 8. Ironically, Fuller’s quarterback, Deshaun Watson, also tore his ACL in 2017, and the same surgeon who reconstructed Watson’s ACL operated on Fuller as well. Fuller is now about 5 months out from surgery and should be ready to go for Week 1, but he will be limited to individual work during OTAs and won’t be doing much cutting or lateral agility movements until training camp. The important thing to consider with Fuller is that his torn ACL combined with his history of lingering hamstring strains spells disaster in 2019. First, fantasy football owners won’t get the best from Fuller until later in the year given that players coming back from ACL reconstruction typically don’t perform optimally until the middle of the season after they’ve had time to get back into the swing of things and get back into “football shape.” Second, guys coming back from the ACL surgery are at an increased risk for hamstring strains because of the fact that the hamstring muscles essentially work together with the ACL in order to prevent the tibia (shin bone) from translating forward on the femur (thigh bone). Moreover, Fuller has an injury history that includes multiple hamstring strains, which even without an ACL tear, makes him more prone to recurring hamstring strains. It’s hard to put a percentage on it, but combining the two risks together (hamstring strains after ACL surgery and recurring hamstring strains after the initial injury), certainly elevates Fuller’s chance of suffering a hamstring injury in 2019. The final knock against Fuller when it comes to hamstring injury is the way he plays the wide receiver position. Fuller is excellent at what he does, taking the top off the defense with ease. However, this creates issues for a guy who relies on his speed to beat defenders downfield. The hamstrings work to slow down the thigh bone as the leg swings through aggressively during the sprinting motion. In this position, the hamstrings are working hard in a lengthened position, which is thought to be the culprit for these troublesome hamstring strains. Simply put, sprinting is one of the most common ways an athlete injures the hamstrings. 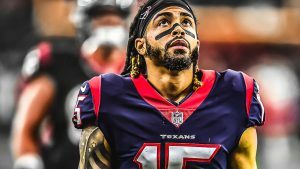 Because Will Fuller is coming off an ACL surgery, has a history of multiple hamstring injuries, and is a player who relies on top end sprinting speed to be effective, Fuller is a guy who is likely to be hampered by hamstring injuries once again in 2019. He’s a player who could easily disappoint fantasy owners who spend draft capital on his services, and because of that, he’s a guy who I’d avoid come draft season and certainly wouldn’t be trading for him in dynasty leagues, especially if you’re a contender. 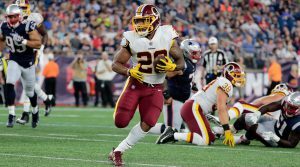 FaniumMD: Time to buy low on Guice?